PREMIUM STAINLESS STEEL DESIGN: Crafted of 100% professional grade 430 stainless steel. The five, heavy-duty stainless steel metal blades of this must-have kitchen gadget effortlessly blend and cut through everything from dough to hard butter. 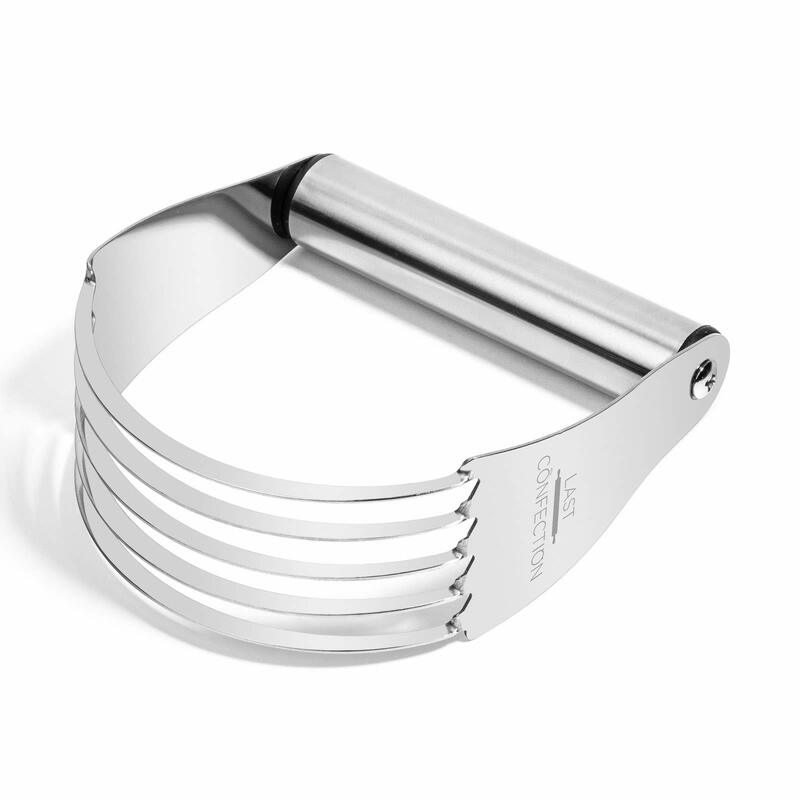 IMPROVED BAKED GOODS: Enjoy better-baked goods, thanks to the ability of this 5-blade baking tool. Create uniform, well-blended ingredients during every preparation process. Upgrade your recipes with this impressive pastry blender. Create delicious biscuits, crusts, pizzas, pastries, and more with an incredible light, fluffy, and flaky texture. COMFORTABLE GRIP: Designed with comfort in mind, the lightweight handle fits perfectly in your hand, allowing you a faster and safer blending experience with less wrist fatigue. 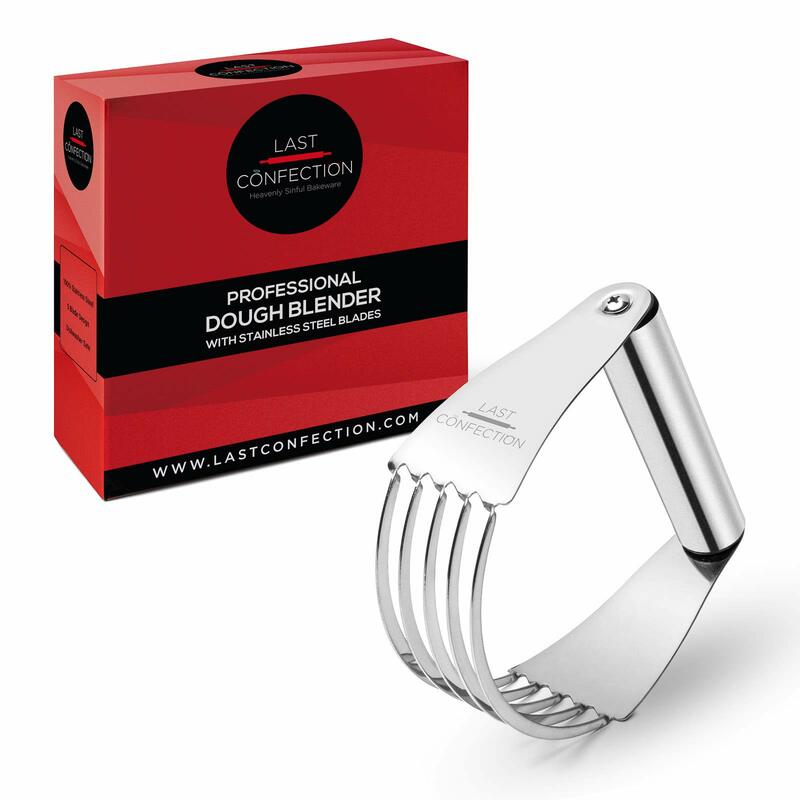 Professionals and home bakers alike will love the ease and comfort of use, as well as improved texture and taste of their baked goods when they use this stainless steel dough blender from Last Confection. Featuring five durable, stainless steel blades, this kitchen gadget is easy to use and highly versatile. With its lightweight but high-performance design, our dough cutter is not only comfortable to hold but will make all your baking tasks easier. Feel more confident and efficient in the kitchen. Not only will you save time and effort, but you will get more uniform consistency and fluffier results with this pastry blender from Last Confection. Traditional blending and cutting with a fork or potato masher is a thing of the past. Use this hand blender to deftly cut through dough, nuts, butter, soft fruits, and vegetables to make baby food or pie filling and more! Your results will be uniform with more blend-able pieces that result in tastier, flakier, and fluffier baked goods. VERSATILE, MULTI-TASKING TOOL: This dough blender does more than just cut flour and butter. It is quite the handy kitchen gadget. Easily mash potatoes, avocados, or soft-cooked veggies and even break apart ground beef. 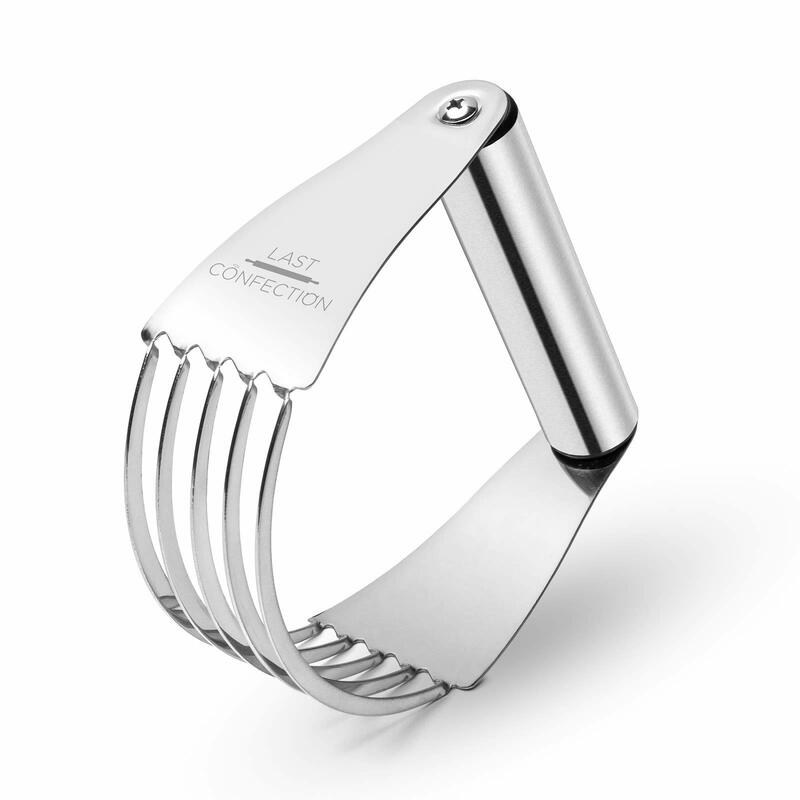 5 BLADED PASTRY BLENDER: Featuring a five-bladed design. The premium quality, stainless steel blades offer blending, cutting and mixing flexibility. The five sturdy blades are precisely spaced apart for the best results. Designed to resist rust and stains with easy maintenance and cleaning.